Baseball fans around the world are in mourning today. 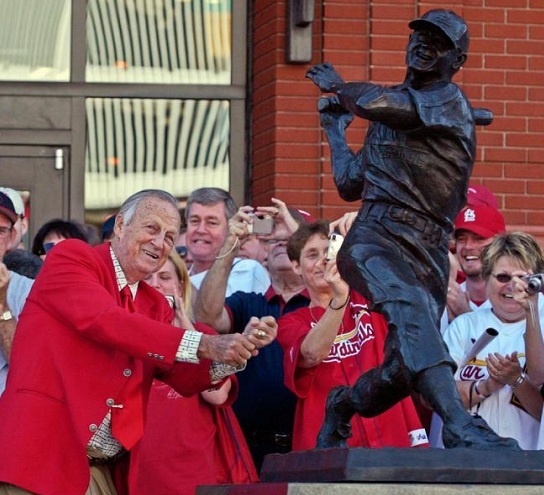 One of the greatest to ever play the game, Stan "The Man" Musial, died Saturday evening at 92. Musial was a Hall of Famer, Cardinals legend, and without question, one of the greatest hitters of all-time. Stan was born on November 21st, 1920 in Donora, Pennsylvania. An all-around athlete, he was scouted in both baseball and basketball. With support from his mother, he eventually signed a contract with the only team he ever played for, the St. Louis Cardinals. Although Musial started out as a pitcher, his superb batting skills and a shoulder injury brought him to the outfield. He made his major league debut on September 17th, 1941. He only played 12 games in his rookie campaign, but he racked up 20 hits and a .426 batting average. The following season, Musial would get his first of three World Series rings. After winning the 1943 NL Most Valuable Player Award, he would go on to win his second World Series title in 1944, hitting .304 in the series. Musial then took a years absence from baseball to join the Navy, where he continued to play ball on base. After being honorably discharged, he rejoined the Cardinals for the 1946 season. Musial made the move to first base and would win his third World Series. He would yet again win MVP, and gained his famous nickname "The Man" in the process. Throughout his career, Musial would break or tie 17 major league records. His final game, on September 29th, 1963, was preceded with an hour-long event featuring guest speakers and an announcement that his No. 6 would be retired forever. He was a 24-time All-Star, 3-time World Series winner, 3-time NL MVP, 7-time NL Batting Champion, and the recipient of the 1957 Lou Gehrig Award, which is given to those who best exhibit good character and charity. He would be elected to the Hall of Fame in 1969 on his first ballot, and to the All-Century Team in 1999. While Musial will be remembered primarily as an amazing ballplayer, he was also very successful in other fields as well. During the 1949 offseason, he opened his own restaurant. He served as vice president of the Cardinals from 1963-1966, and even served as President Lyndon Johnson's physical fitness advisor. In 1967, "The Man" would become the Cardinals GM, and from that position, helped lead them to yet another World Series title. Musial was also a gifted harmonica player, and played regularly at the Hall of Fame Induction Ceremony. Stan was always known as a humble, likable personality. He would regularly interact with fans, even those lined up after the game. Musial was known and admired for his devoted marriage to his high school sweetheart, Lillian. They were married 71 years until her death in 2012. In February, 2010, Musial received the Presidential Medal of Freedom from President Barack Obama for his lifetime achievements and services to the community. It is the highest award that can be given to a citizen. Musial's life of success and achievements on and off the field will forever live in infamy. He will be remembered not only as one of the greatest to have ever played the game, but as one of the biggest hearts to have ever graced the diamond. We may not all be Cardinals fans, but as baseball enthusiasts, our hearts are broken for the loss of a true legend. Definition of the word class, and one of the most underrated superstars of all-time. Godspeed, Stan. GREW UP WATCHING ST LOUIS GAMES WITH MY DAD. 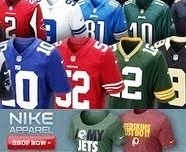 SOME OF THE BEST MEMORYS OF MY LIFE. TO THIS DAY MUSIAL IS STILL MY FAVORITE ALLTIME PLAYER. SAD DAY FOR BASEBALL FANS.